If you’ve been a regular reader here at A Family Feast, then you already know from the stories we share that many of our personal friends are also fellow foodies! 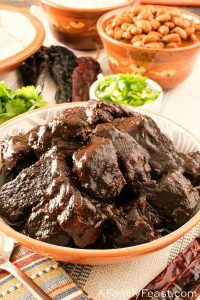 While they don’t write food blogs themselves – they do certainly enjoy “taste testing” our blog recipes, and they are great company and adventurous eaters when we all go out to try a new restaurant. 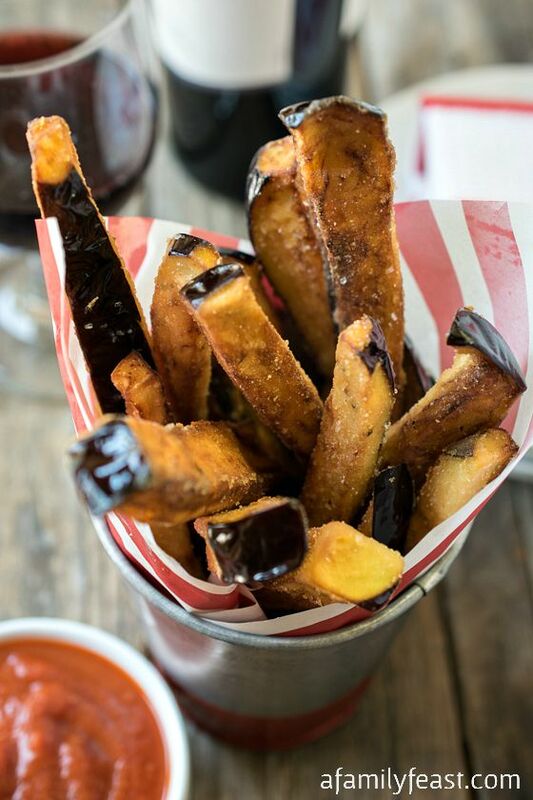 Sometimes, our friends also give us recipe inspiration – and such is the case with today’s Eggplant Fries with Marinara Sauce. 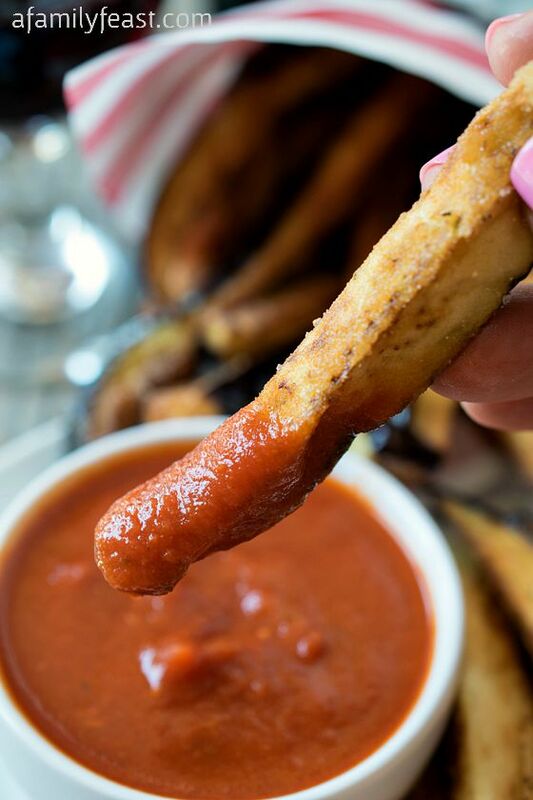 Earlier this summer, our friend and neighbor Sean told us about a fantastic appetizer that he enjoyed one night at a local restaurant – eggplant fries served with a side of marinara sauce for dipping. 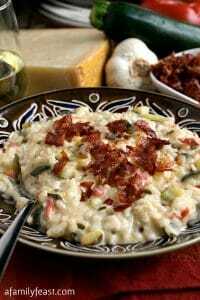 One last note – don’t be scared away by using rice flour in this recipe. (You can find it at most supermarkets these days in the gluten-free or health foods section of the store.) After some trial and error – we felt that the rice flour creates the best, light coating for these Eggplant Fries with Marinara Sauce. About an hour before frying, trim ends of each eggplant then slice the long way into four or five thick slices. Leave skins on. Turn and slice again into strips. I got about 30 fries per eggplant. Lay them out flat on your cutting board or counter and sprinkle both sides with the tablespoon of kosher salt. Then let sit for an hour. This will draw out any bitterness. After the hour, place in a bowl and cover with cold ice water. 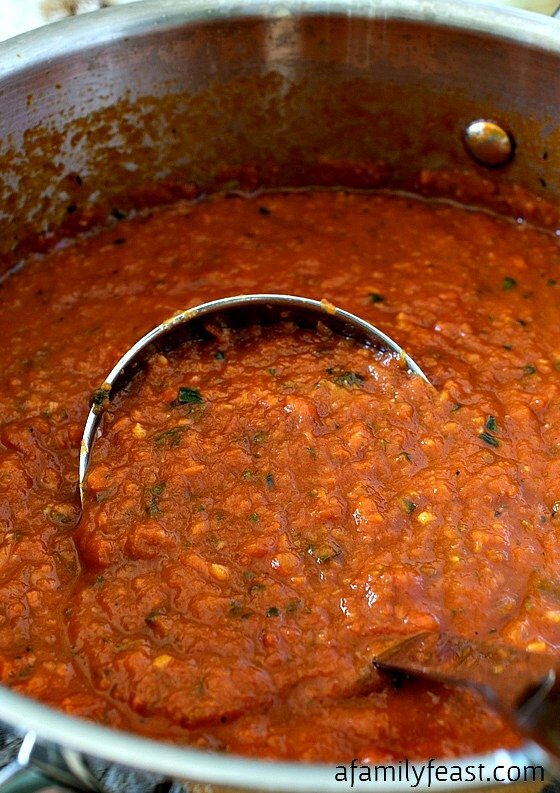 In a large bowl, mix the flour, 1 teaspoon of the sea salt, garlic powder, onion powder, oregano and basil. Place a large pot on the stove and fill half way with the oil. Heat to 345 degrees F using a candy thermometer. This seems like an odd temperature but you actually drop down to 325 degrees F as you fry which is what you want. Preheat the oven to 300 degrees F. This will be used to keep the fries hot as you cook each batch. Drain the ice water from the eggplant but do not pat dry. While still wet dredge them all in the rice flour mixture and then place on a tray. Cooking in batches, fry for about 4-5 minutes or until they just start to brown. They will not get dark amber like a French fry would but more of a light golden color. Using a spider or strainer, remove to a tray with paper towels and generously sprinkle with the remaining sea salt. Let the oil get back to 345 degrees before starting the next batch. As each batch is cooked, place on a pan and hold in the oven until all the fries have been cooked. Hi Tina – You probably won’t get the same crispy texture by baking instead of frying, but you can certainly try. I’d go with a hot oven – 450 degrees F – or so. We haven’t tried it ourselves so I can’t help with the timing (guessing 10-15 minutes). Keep an eye on them while they bake. Can you use an air fryer? We’ve only made the recipe as written Lisa – if you try the air fryer, please let us know how it comes out! These would be fantastic for me! I’m looking for better options for myself and I’d be in love with these! Great snack idea! Guess who has a just-picked eggplant from their friends garden??? And now knows what to do with it…Booo-yah! Sometimes friends and family provide the most unexpected and best recipe inspiration. 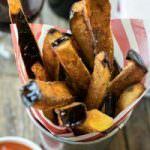 These eggplant fries are definitely inspired! What a fantastic idea. I’ll be the rice flour adds a nice lightness to them. I was at a restaurant last night and had parsnip fries. You can bet I’ll be working on my own adaptation of those soon. So good! Can’t wait to see that parsnip fries recipe Renee! My husband adores parsnips and I know he’s going to want to try them out! 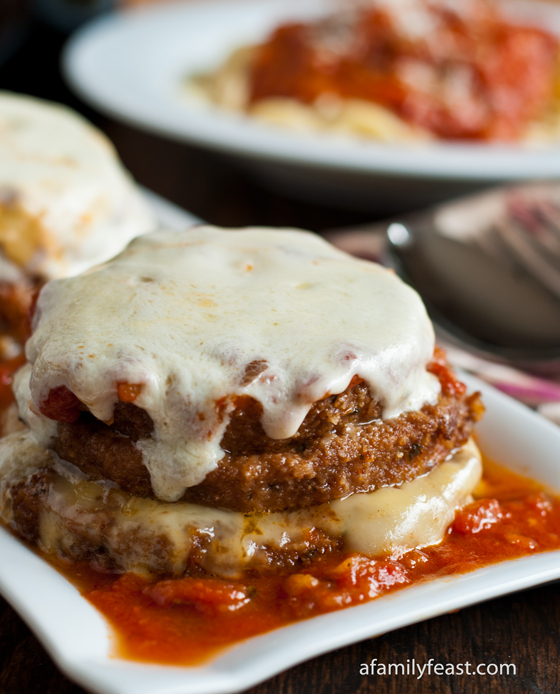 What a great way to enjoy “eggplant parm” without all the work! 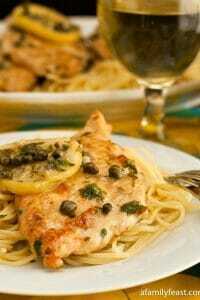 Thank you – I hope you’ll give the recipe a try! Do you think you could bake these fries instead of frying them to make them even more healthier?? Hi Lori – We actually tried this recipe both ways and felt that frying gave the fries the best texture! And now I want to make them right away! 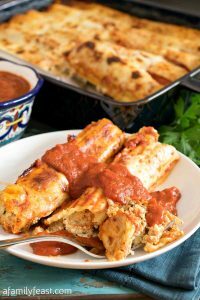 I can almost imagine the flavor, they sound and look absolutely delicious (mmm, eggplant parm….(. This is something I need to try right away! Those might be the best looking eggplant fries I’ve ever seen! 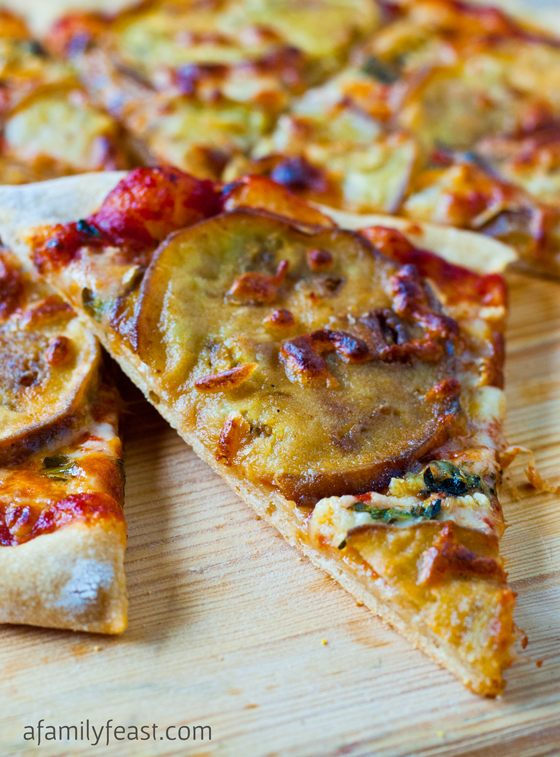 What a great use for eggplant! My mom very generously gave me 3 eggplant and while I was super excited about them have no clue what I was planning on doing with them. If I just roast them in the oven, my husband won’t eat them. He’s so picky!!! Thanks for sharing this. You’re very welcome Laura! I think any non-eggplant eater will love these fries!